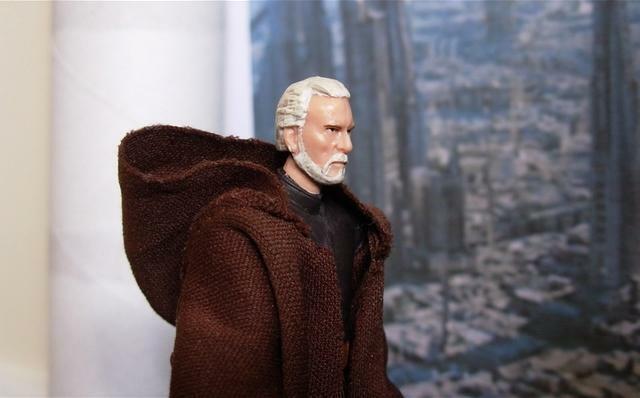 Waiting for his friend, Sifo-Dyas, Jedi Master Dooku stood in front of a window of an abandoned corridor just outside the Jedi Temple. 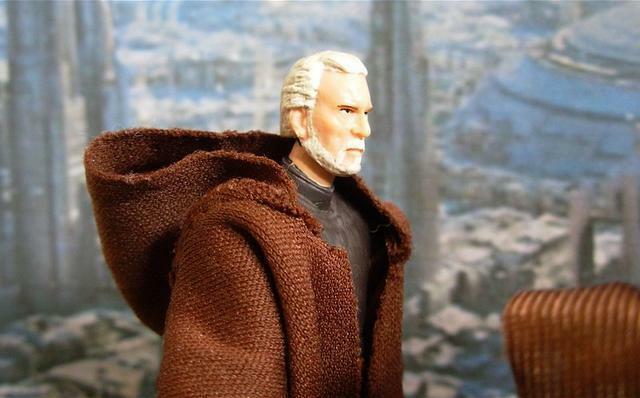 Like most Jedi, Dooku had been brought to the Jedi Temple to be trained as a Jedi almost right after birth. He had been born on Serenno when the Prophecy of the Chosen One had only just begun, seventy years ago. Since then, the Jedi had been waiting for the Chosen One to be born, believing only he or she could bring balance to the Force. 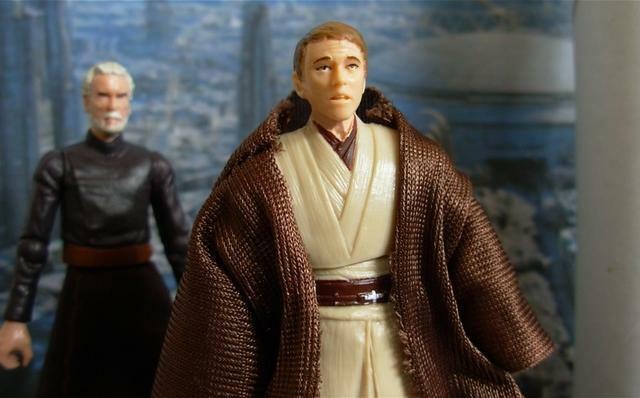 And now they thought the newly arrived Anakin Skywalker, at the extremely old age to begin training, was he. 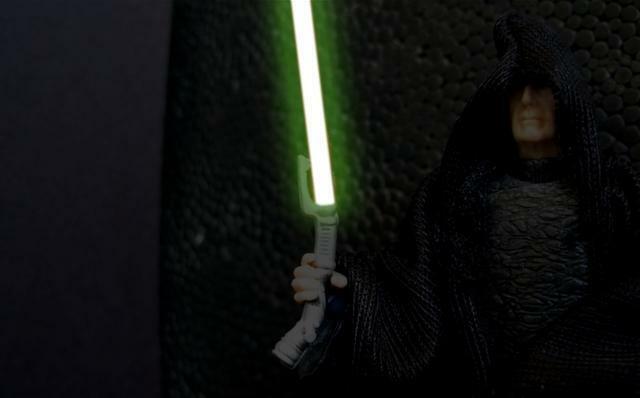 Even as a youngling, Dooku had been obsessed about the Sith and the Dark Side of the Force. And though the Jedi had thought of him as one of the best of the Order, he had been, and would be, as disruptive as the supposed Chosen One would later become. 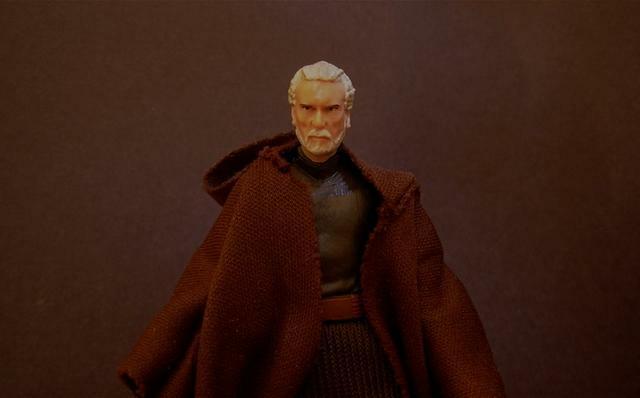 Dooku’s first real trial had been when he was a thirteen-year-old Padawan… …as he remembered, he had been betrayed by another Padawan named Lorian Nod. 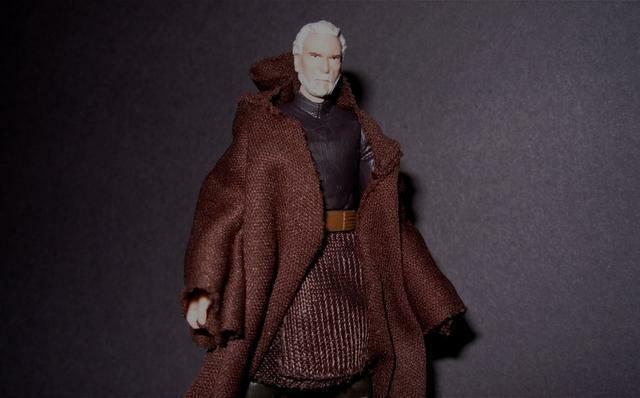 Dooku had been angry, certainly; furious that his reputation had been put at risk. And he had been angry at himself, for his error in judgment: trusting as an ally one who was in fact an enemy. The most astonishing part of the whole affair had been that even after turning on him, the other boy had expected him to participate in a lie in the name of their “friendship”. It had been so preposterous that he hadn’t known how to reply. In fact, he was never entirely sure of what beings meant when they spoke of ‘friendship’. Jealousy he could understand. And pride was, in his opinion, a virtue. Dooku and Lorian had broken into a lightsaber fight. 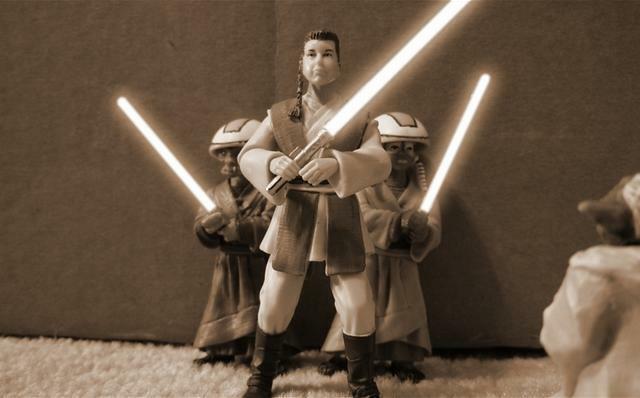 Their Padawan Lightsabers, though, were not extremely dangerous, as they were meant for younger learners. But Dooku had managed to wound Lorian. 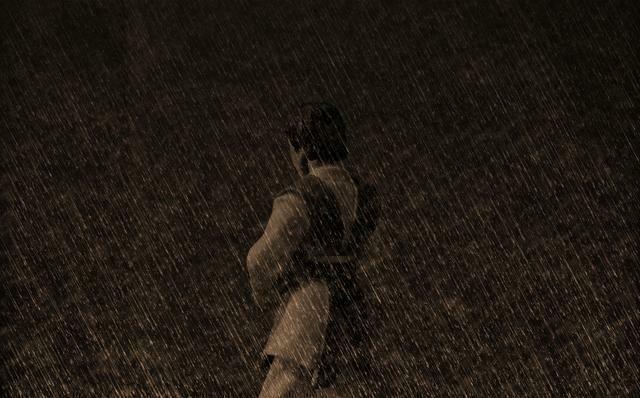 The Battle of Galidrraan had been his second trial. 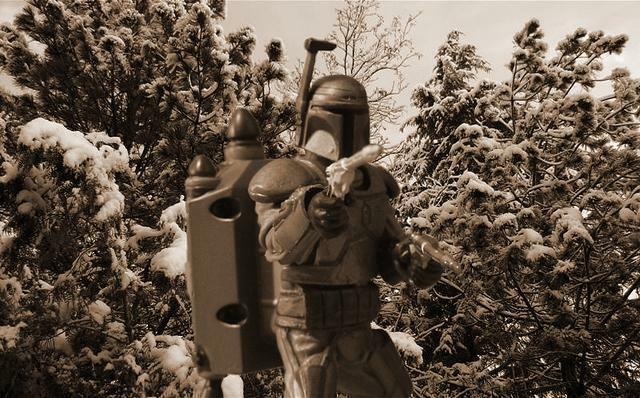 Two years ago, the Governor of the planet Galidraan had contacted the Jedi Council about a group of Mandalorians on the planet, who were ‘murdering political activists’ such as Drazil and Likpen Drewton, the parents of Burt and Larry Drewton. And truly, the family had indeed gone missing the same year. 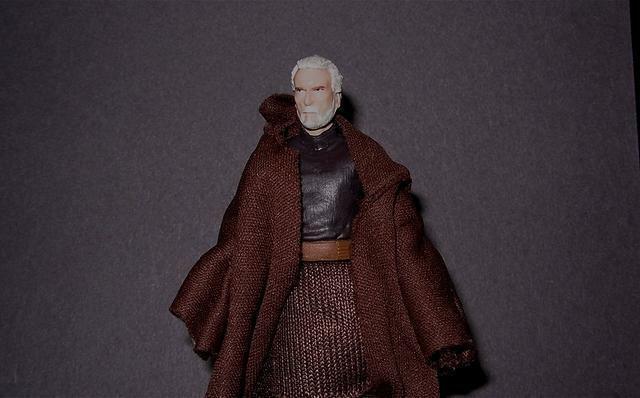 Dooku had been sent by the Jedi Order to eliminate the Bounty Hunters on Galidraan. 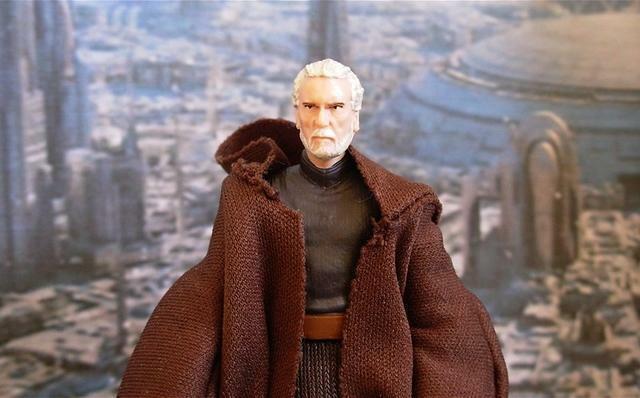 Dooku later thought of it as “a misguided mission from the start and not the first of the Council’s poor decisions”. His discontent had continued to grow; his frustration with the Republic Senate, with Chancellor Valorum, with the short-sight-ness of the Jedi Council themselves. 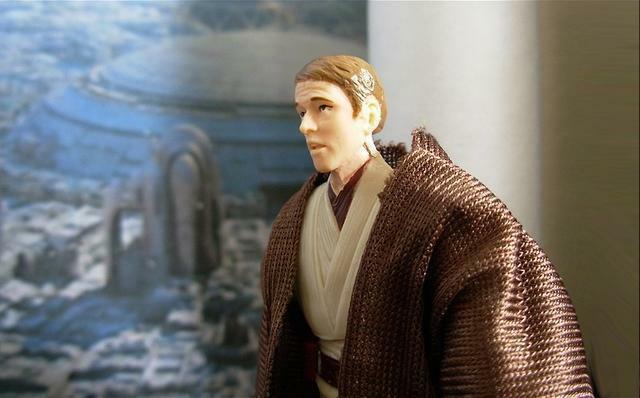 The invasion of Naboo, the Chosen One found, the death of Qui-Gon at the hands of a Sith Lord… …how could the Jedi Council not see what was happening? The Republic was growing more and more corrupt day-by-day, and it wanted no help from others. It was falling to its knees. 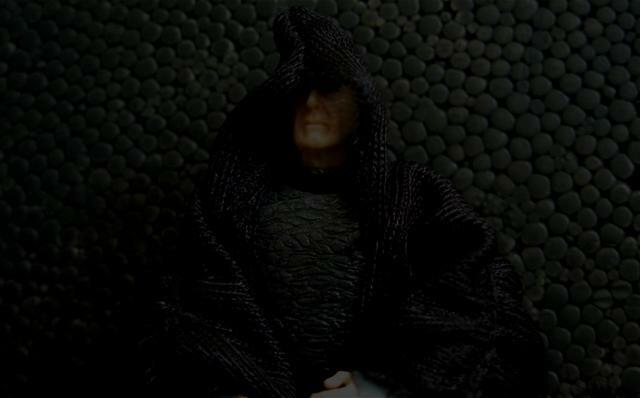 The Battle of Naboo had revealed that the Sith were back, and that a Sith Lord was at work… …some where. 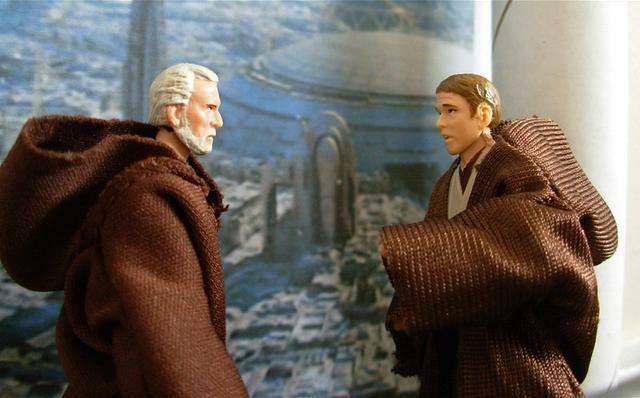 Just as Obi-Wan Kenobi (who had just been given the rank of Jedi Knight) was once Qui-Gon Jinn’s Apprentice, Qui-Gon was once Dooku’s. And Qui-Gon’s death had also greatly affected his former Master. 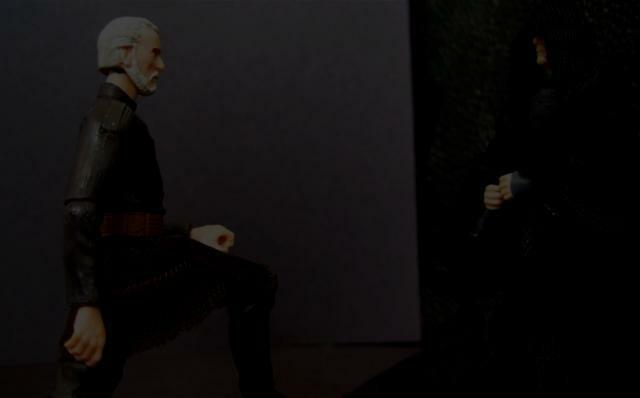 Dooku had said much to anyone who would listen, though few heeded his words. He even had spoken with Yoda. 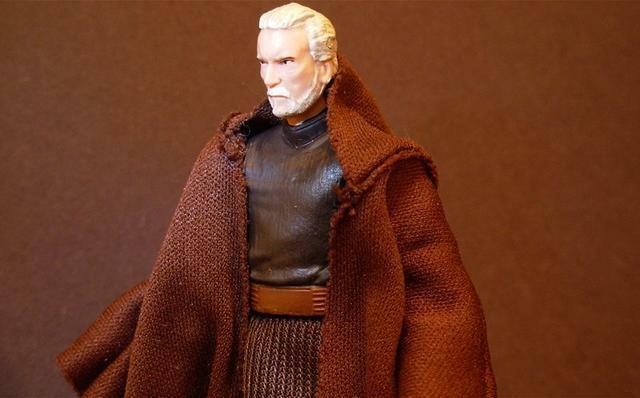 But overall, his true confidant had been Jedi Master Sifo-Dyas. Sifo-Dyas also was disturbed by what was happening. 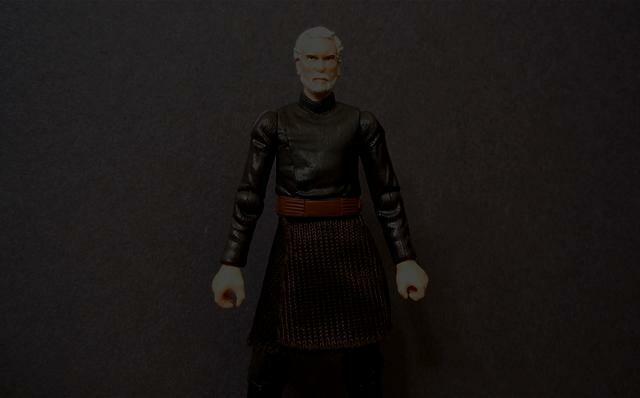 Emerging from the Temple holo-room, Sifo-Dyas informed Dooku that Jedi Knight Idnum-Ki’s mission to rescue Burt and Larry, sons of Drazil Drewton, was successful. 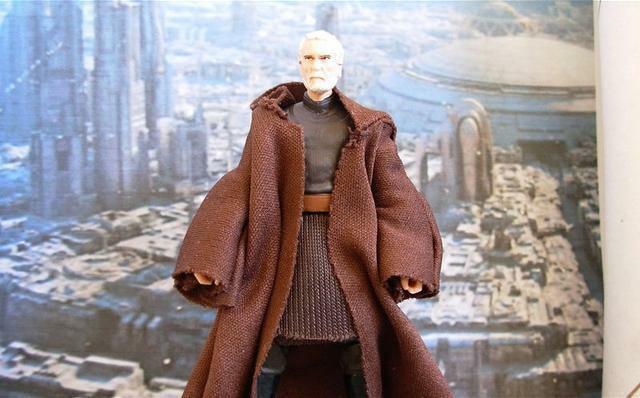 Dooku stared out at the endless nightscape of Coruscant. 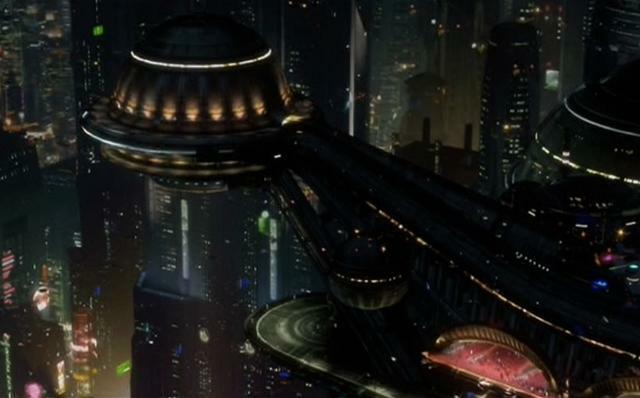 Coruscant at night had always been an endless galaxy of light, shining from trillions of windows in billions of buildings that reached kilometers into the sky, with navigation lights and advertising and the infinite streams of speeders’ running lights coursing the river of traffic lanes overhead. And he knew that he might be looking at this for the last time, because on this night he would follow the trail of the Sith Lord’s presence. Maybe fall in battle with him. 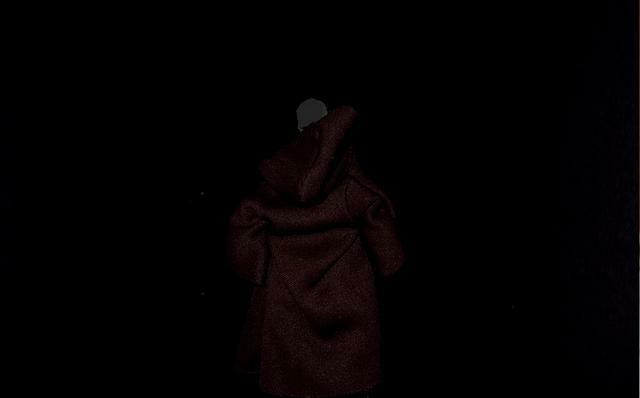 After an hour of walking and using the Force to sense the Sith’s location like a dog would sniff for a scent of a trail, he seemed to walk into, what seemed, almost total blackness. 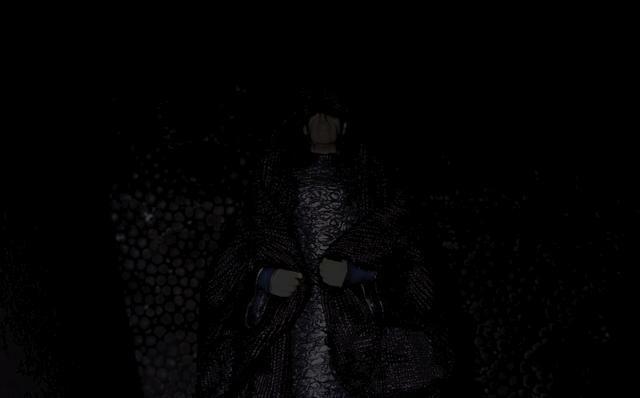 He could only just make out himself because of very dim lights from far off. 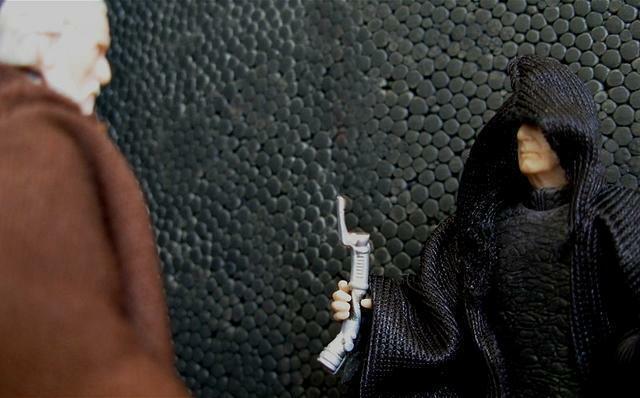 And then… …the Sith felt close. Very close. He kept getting closer every second. And Dooku wasn’t moving at all. 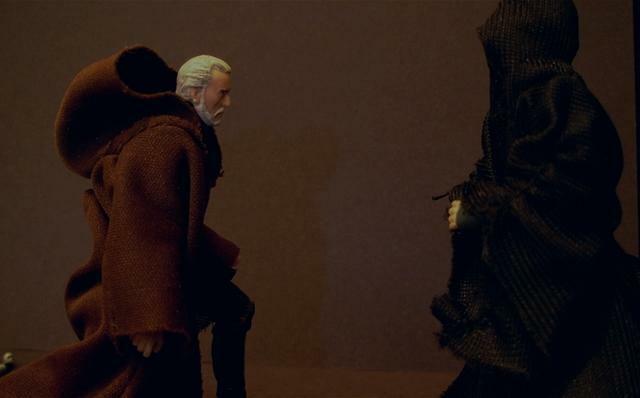 Then the Sith Lord got so close he was only standing one and a fourth of a meter away from the Jedi Master. 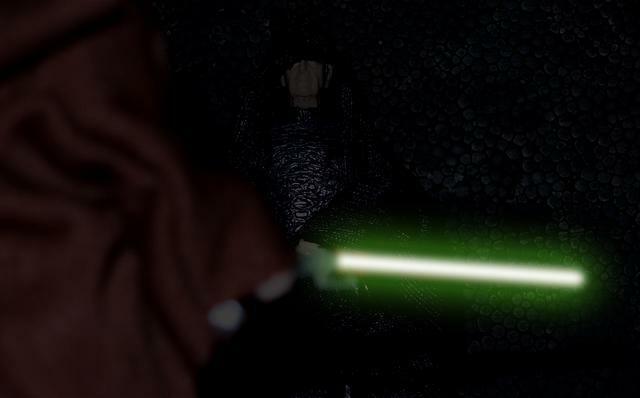 A green bar of plasma emitted from Dooku’s lightsaber hilt, which turned into a blur of light. 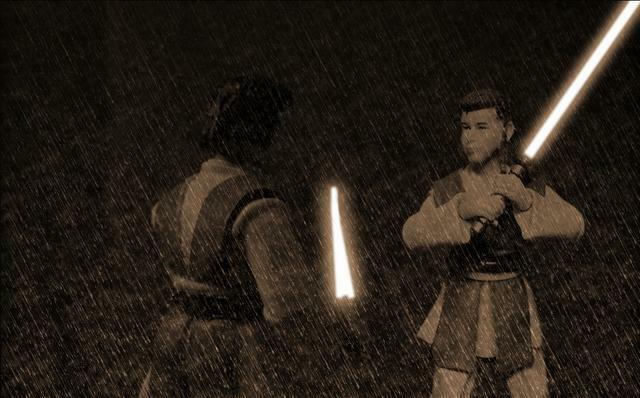 …but instead the hilt of his sword found its way into the Sith’s hand. 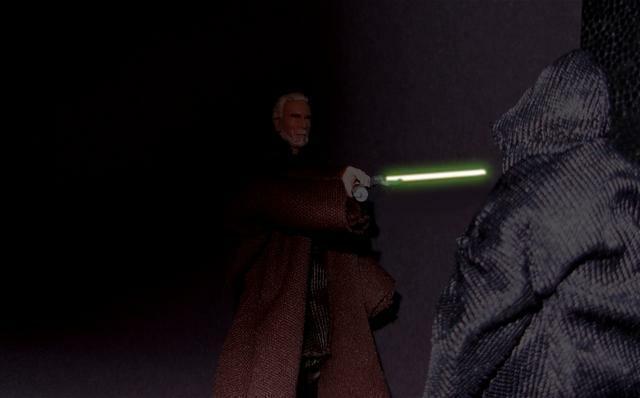 Now Dooku was unarmed and the Sith had just ignited his own scarlet-bladed lightsaber. 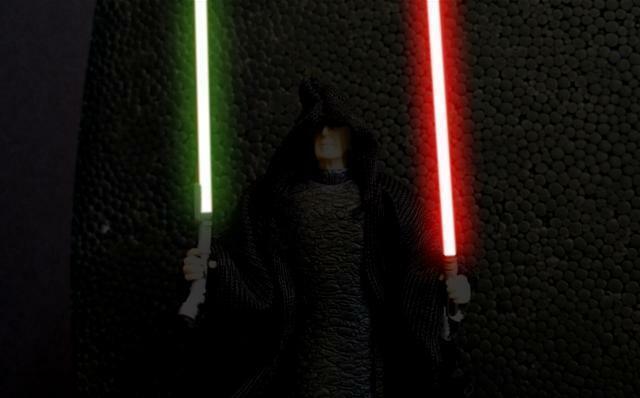 But instead of killing the Jedi, the Sith deactivated both lightsabers just before an array of lights lit up the hallway. 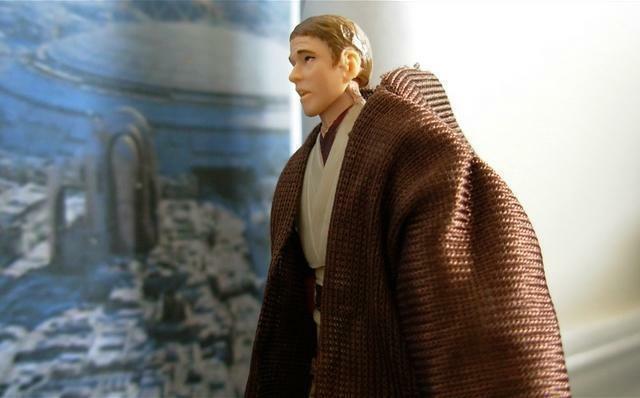 Something in front of Dooku looked like a shadow given form. 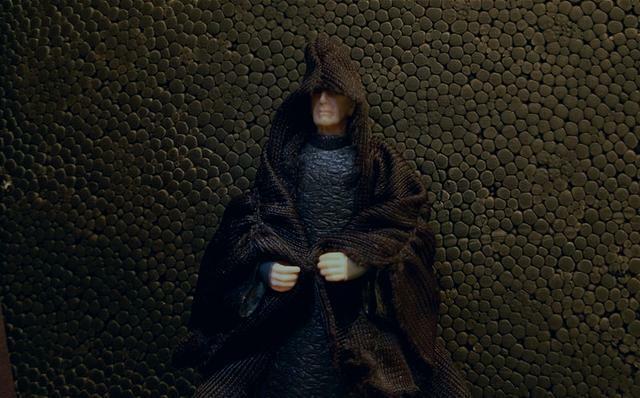 As his eyes adjusted to the light, he could see clearly that it was a dark figure covered in a black cloak, face shadowed by a hood. He’d been trapped. Only he had sensed the Sith’s presence. Only he could find him. But Dooku still didn’t say anything. “You’ll find we agree on a great many things, Master Jedi,” the voice continued. 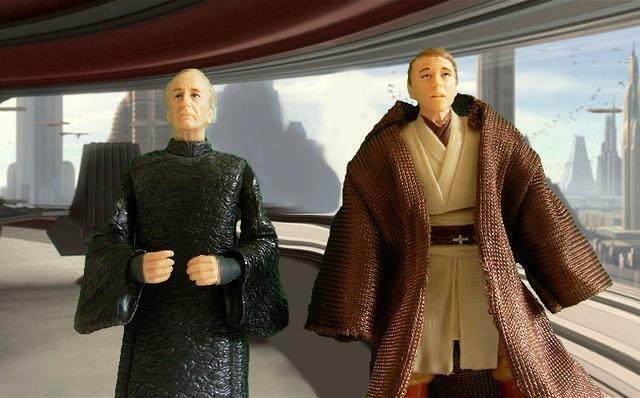 Dooku blinked. 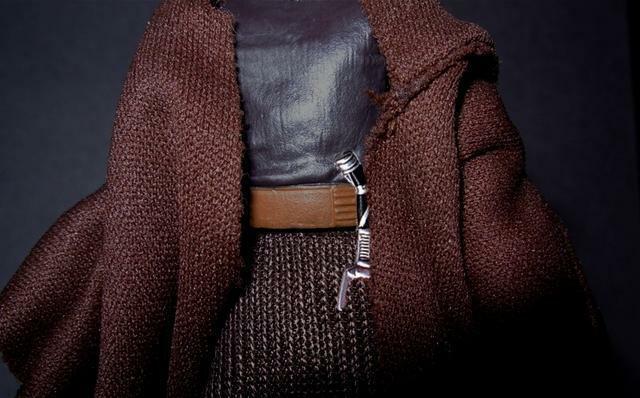 When his eyes opened again he looked down to see that his lightsaber hilt had returned to his belt. “Should I kill him?” he thought. 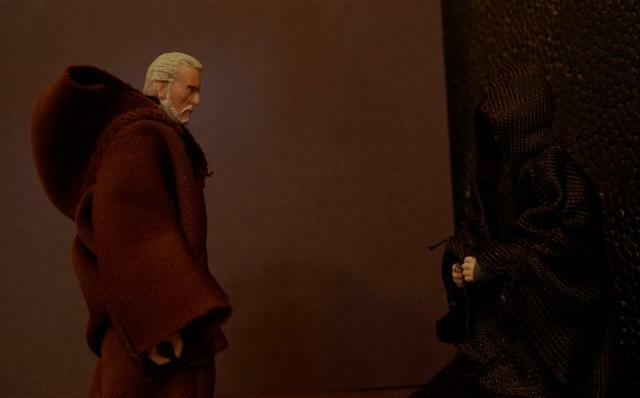 Dooku was starting to see a point in what the Sith was saying. They emerged into a three-hour-long conversation about the ways of the Force and the Republic. And in the end, the Jedi had to agree with the Sith. 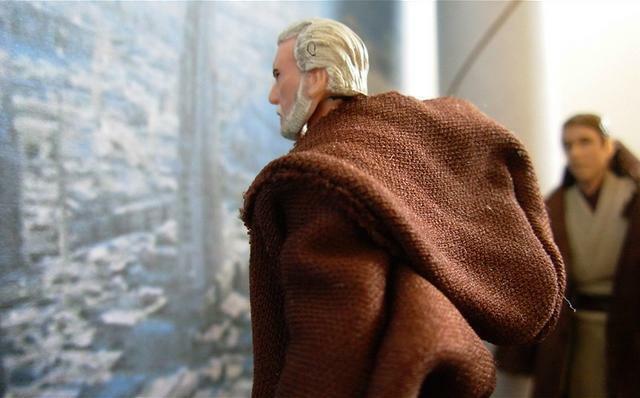 “Why should I turn my back on the Jedi?” Dooku asked. 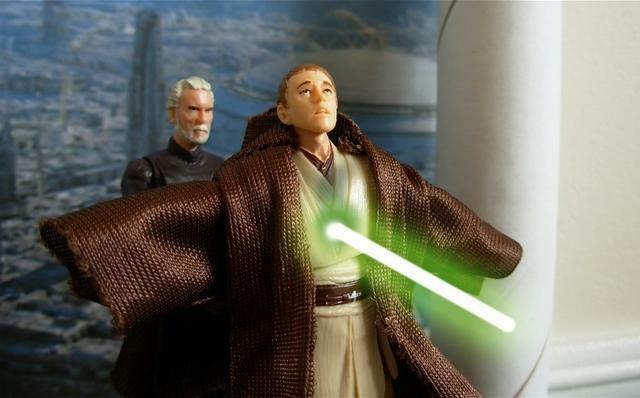 That was when Dooku finally stopped resisting. He bowed before his new Master. 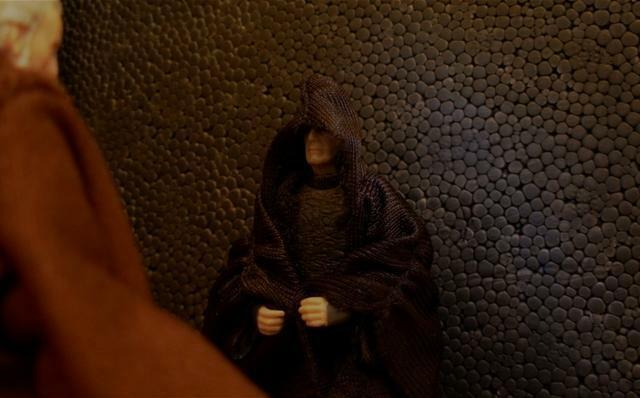 Meanwhile, Sifo-Dyas had been spreading the warning of the growing darkness almost as much as Dooku had. 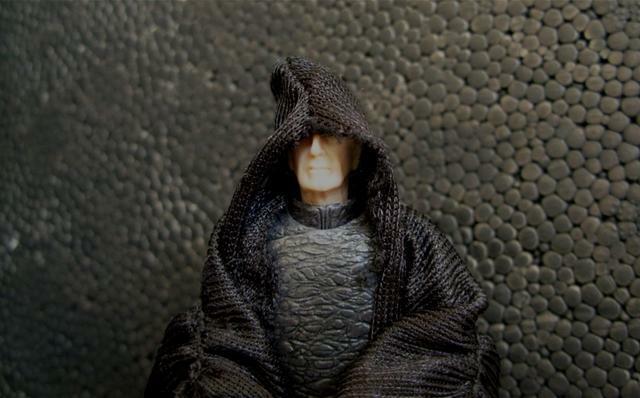 None believed, except, surprisingly, newly-appointed-Chancellor Palpatine. 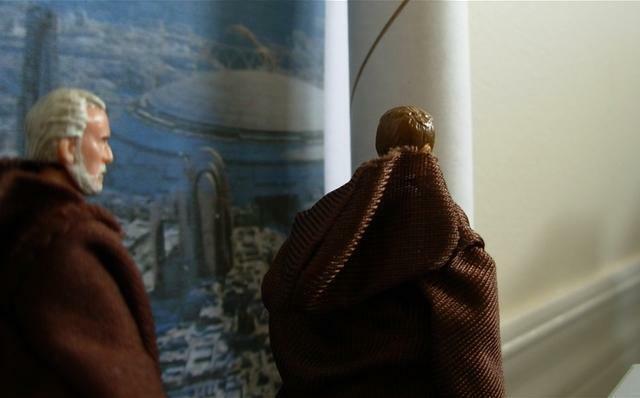 Here Sifo-Dyas was: in the office of the Supreme Chancellor. 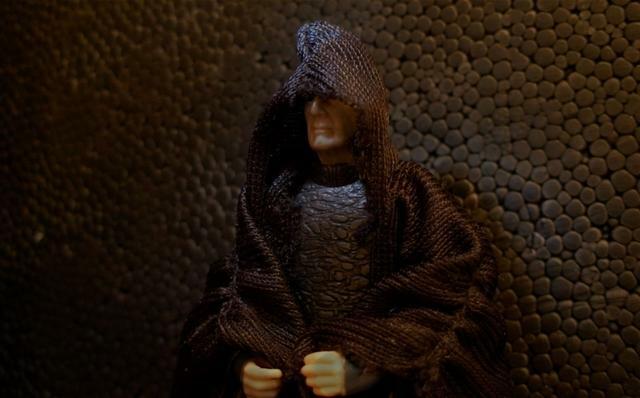 Sifo-Dyas had told Palpatine that dark times were coming, and the Jedi could not withstand such an attack; that they needed an army for the Republic. Palpatine had agreed and told Sifo-Dyas to secretly contact the Kaminoan Cloners of Kamino and request for an army for the Republic. This the Jedi Master did. 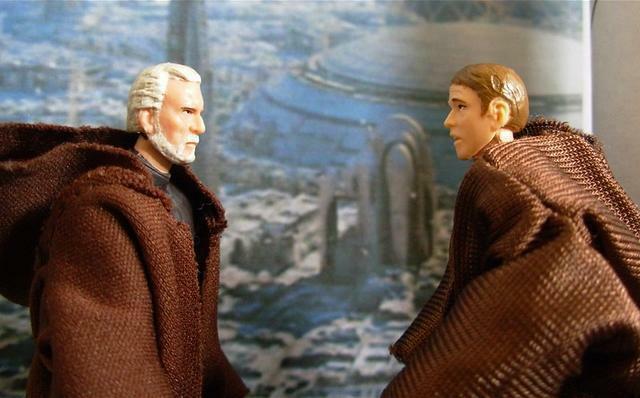 Later, the former Jedi Master, Dooku, who was still acting as a Jedi in the Jedi Order, met with his new Master. 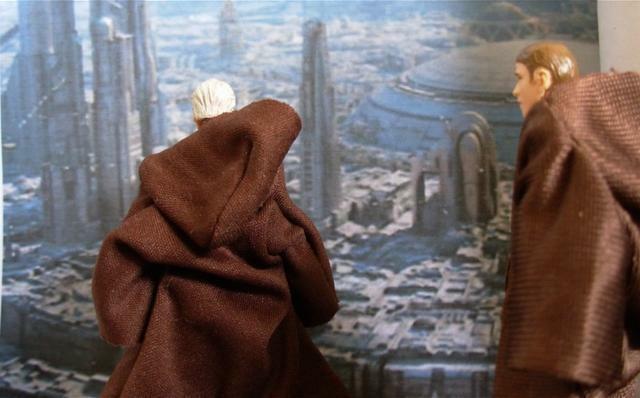 Two hours later, Dooku approached Sifo-Dyas in the place where they always usually met. “I feel a disturbance in the Force,” said Sifo-Dyas with a faint voice. 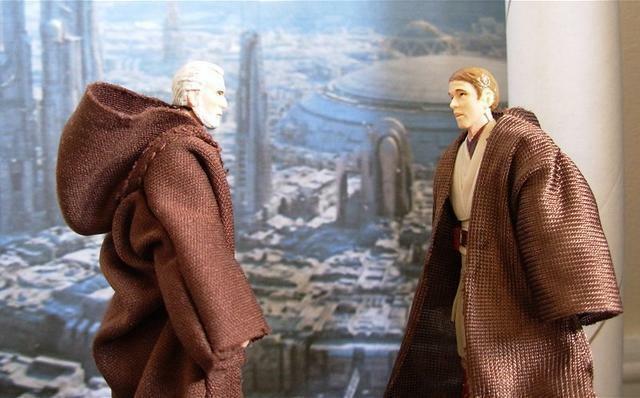 “No doubt, my friend,” Dooku replied. 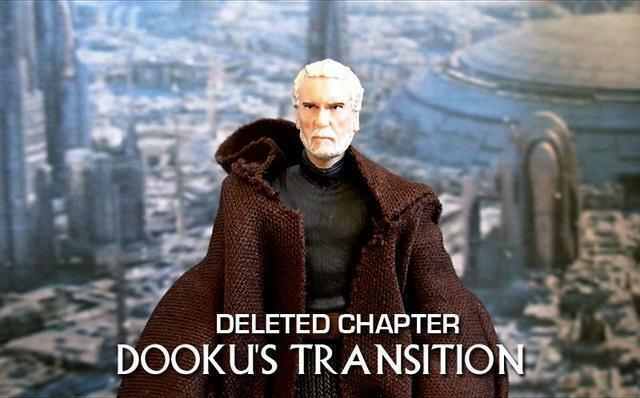 Then Dooku carried out the other orders he had been given: erase Kamino from the Jedi Archives and leave the Jedi Order.